I love homemade applesauce. But I never make it because I always thought it was too time consuming. Then Pinterest alerted me to this surprisingly easy version in a crock pot! The most time consuming part was peeling and chopping the apples. With a few tweaks, it tasted just like Gramma’s! Peel, core and chop the apples. Put them in the crock pot. Add the brown sugar, cinnamon sticks and lemon juice. Cover. Cook on low for 6 hours. We stirred every hour for a total of six time. 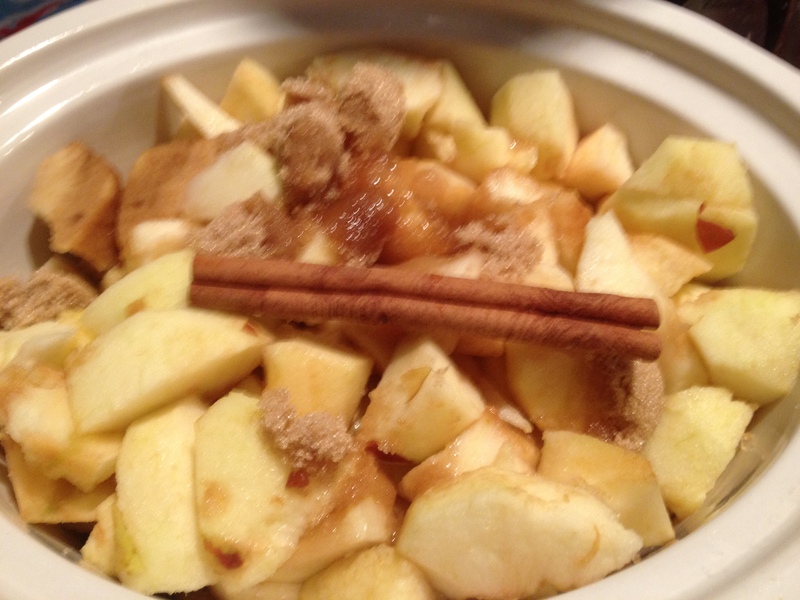 When the apples are cooked through, use a potato masher to make chunky applesauce. 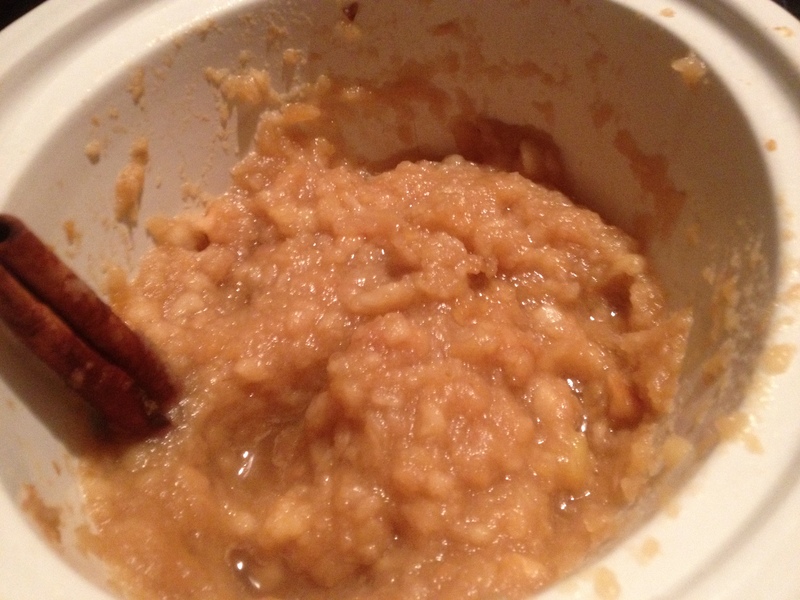 If you prefer your applesauce thinner, put it through the blender or the food processor. We left out the lemon peel and fresh lemon juice from the original recipe because we didn’t have any lemons on hand. I was a bit saddened by how little 10 apples made! There was really only enough for about 2 and a half servings. I guess I’ll need a bigger crock pot!